Flexia offers you a very flexible header that you can customize like anything. 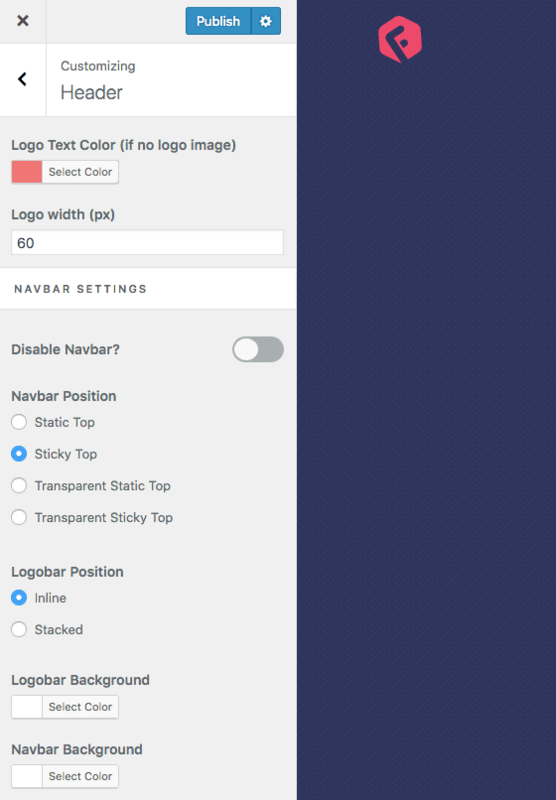 You can set four different type of Navbar poitions. You can set Transparent Static Top or Transparent Sticky Top to get transparent Navbar. Transparent Static Top will be on top of your page and when you scroll down, it will still be there. For Transparent Sticky Top, it will be sticky with white (or whatever background color you set from Customizer) on scroll.